Electing to have your dental implants in Jordan offers many advantages for medical tourists interested in escaping the high prices associated with treatment in many affluent countries. In recent years, dental tourism in Jordan has proved popular which perhaps isn’t surprising given that in 2008 the World Bank rated this destination as fifth in the world for medical tourism. Jordan invests significantly in its healthcare infrastructure and thus state of the art equipment and high quality care are readily available. If your teeth are damaged or missing, the effect on your self esteem and state of health can be significant. Edentulism or tooth loss can leave the sufferer struggling to eat or talk properly and may significantly impact the appearance as teeth serve to support the cheeks and lips. Dental implants are a permanent method of resolving this issue and work by inserting titanium posts or screws into the jaw. These metal implants fuse with the jaw bone in a process called osseointegration and crowns, bridges or dentures can then be applied. 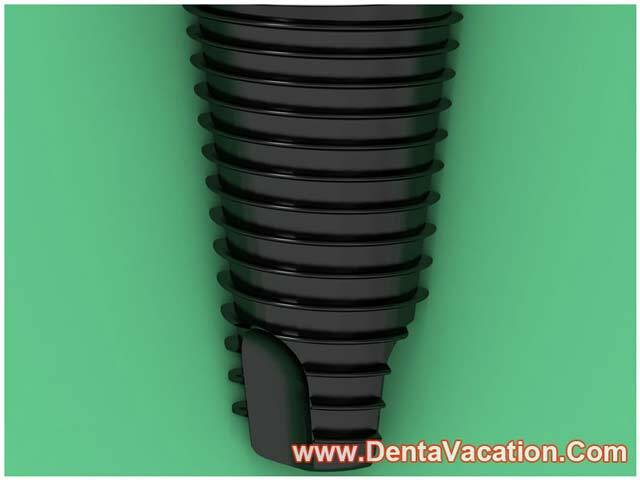 Dental implants are an alternative to removable dentures or bridges which are fused to remaining teeth. This type of restorative surgery is popular as it can be akin to getting your own teeth back. Dental implants feel natural, blend with remaining teeth and can save you money in the long term when compared with the cost of maintaining and replacing dentures. 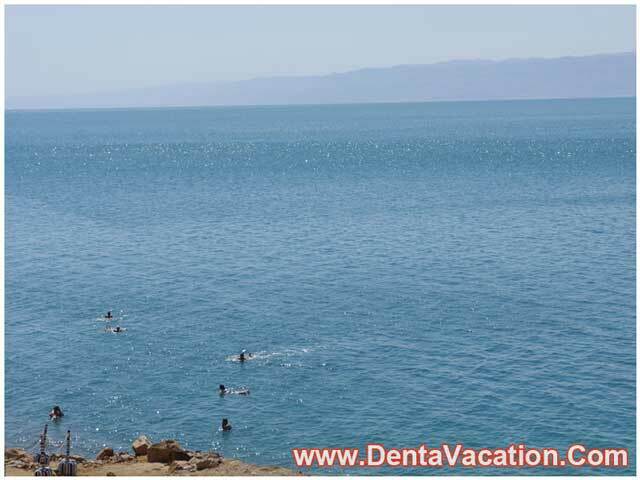 If you’re looking for affordable dental treatments abroad, Jordan has a lot to offer. The Joint Commission International (JCI), which seeks to maintain standards of healthcare abroad, has accredited 11 hospitals in Jordan and many more are currently adopting accreditation programs. Jordan has implemented its own Health Care Accreditation Council (HCAC) which moderates standards domestically. Jordan’s Private Hospital Association (PHA) estimates that medical service prices in Jordan are 25-40% less than those offered in the USA or Europe. The cost of dental implants in Jordan is generally significantly lower than those noted in USA, UK and Canada and this is due to the reduced price of living rather than a lesser standard of care. We work with a number of highly regarded dental clinics in Jordan which offer state of the art facilities and high quality treatment. The reputation of dental implant doctors in Jordan is first-rate with many doctors training abroad to gain internationally recognized qualifications and beneficial experience. Waiting lists are usually short and this allows patients to have surgery on their own time. This is particularly useful for those with extensive family or work commitments. 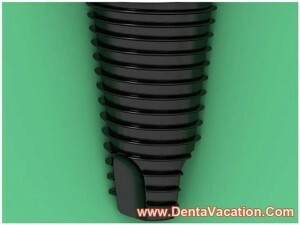 Visiting Jordan for Dental Implants? Traveling to Jordan is relatively straightforward and international flights are available to Jordan’s two largest cities, Amman and Aqaba. Even when you factor in the cost of transport and accommodation, you might still stand to make substantial savings. Remember to factor recovery into your trip. Your surgeon should be able to advise you on how much recuperation time you can expect. When electing to have your tooth implants in Jordan remember to organize the appropriate travel documentation in advance. If you suffer from dental anxiety, the thought of any dental procedure can be terrifying. However, advances in dental pain relief and a better understanding of how to treat patients effectively means that you no longer have to avoid having work carried out on your teeth. The official language of Jordan is Arabic, although English is widely spoken. The Kingdom of Jordan is a conservative country and tourists are encouraged to dress modestly. In 2010 there were 10 million visitors to Jordan and, when you consider the tourist attractions available, it’s easy to see why. Jordan offers world famous sites of interest including Petra and Jerash. Moreover, the cultural diversity of cities like Amman and Aqaba are a must for visitors. Thus, many people traveling to Jordan for medical treatment incorporate a well deserved vacation. If you reside in a first world country, the cost of fixing missing or broken teeth could be prohibitive. Choosing to have dental implants in Jordan could save you money, but still provide high quality dental care from well trained dentists.